Perfect for attaching to your buggy, car seat, or even the side of the cot, this gorgeous Peter Rabbit & Flopsy Bunny activity spiral is brilliant for babies. 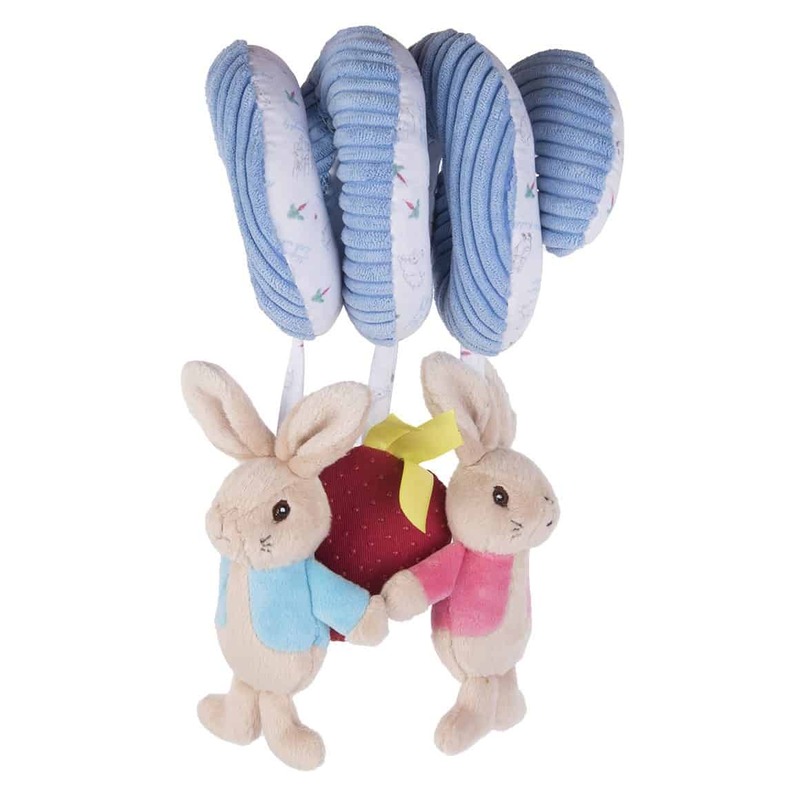 It’s baby-soft with multiple textures and sounds including a squeaker and rustling rabbits. The perfect way to introduce your baby to the magical world of Peter Rabbit. One very hungry tiger and a very patient mummy! This classic story has stood the test of time. 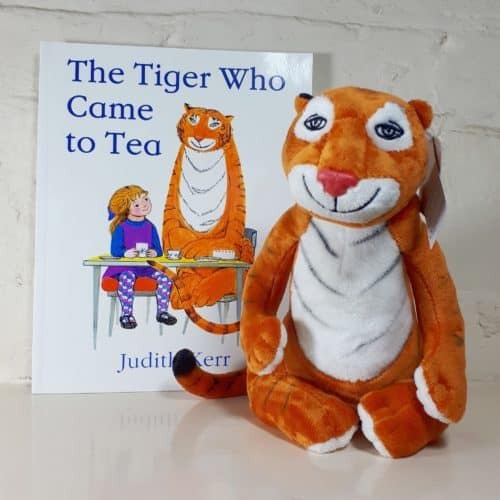 Bring the Tiger who Came to Tea to life with this gorgeous gift set featuring a cuddly Tiger and accompanying storybook. The Tiger soft toy is 10” tall and is really true to the original illustration. This set is wrapped in tissue and delivered in a cardboard gift box. Add gift wrapping at the checkout with a personal note and we’ll send it direct to the lucky recipient on your behalf. 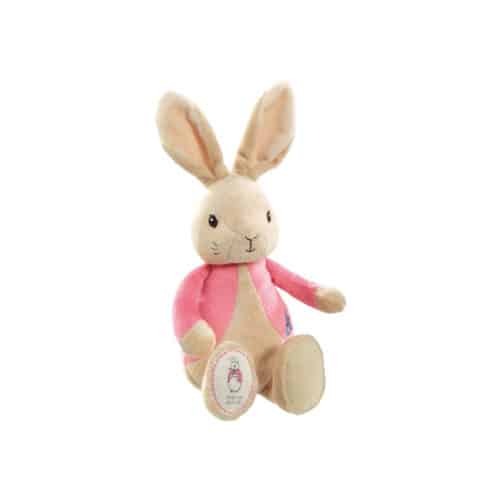 Suitable from birth, this super soft and very cuddly Flopsy Bunny is a must-have for any Peter Rabbit fan. 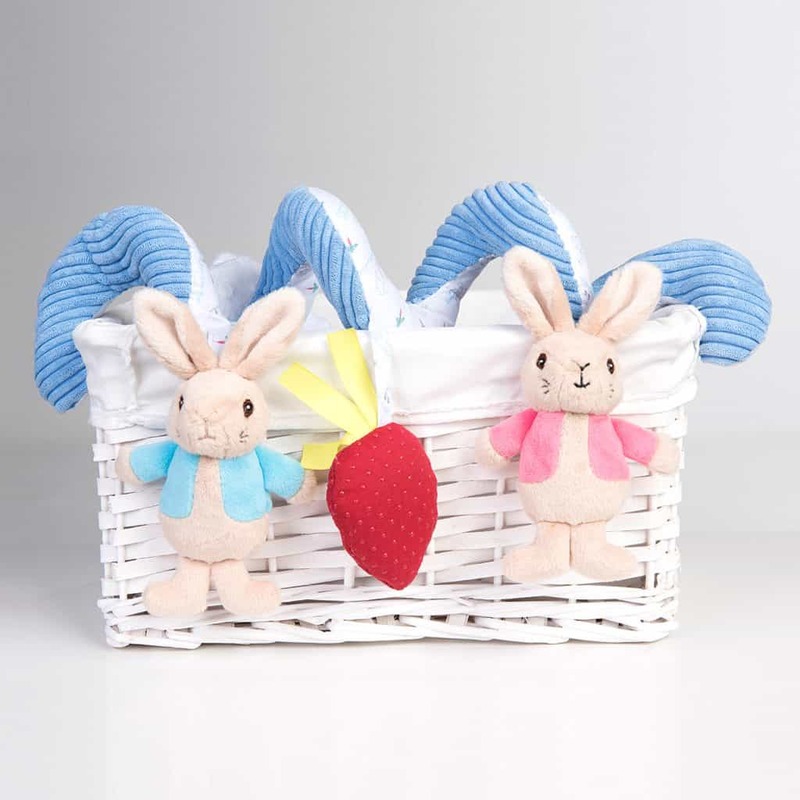 Perfect if you’re planning a Peter Rabbit nursery or are looking for a new baby or christening gift. Flopsy measures 33cm from ears to toes. 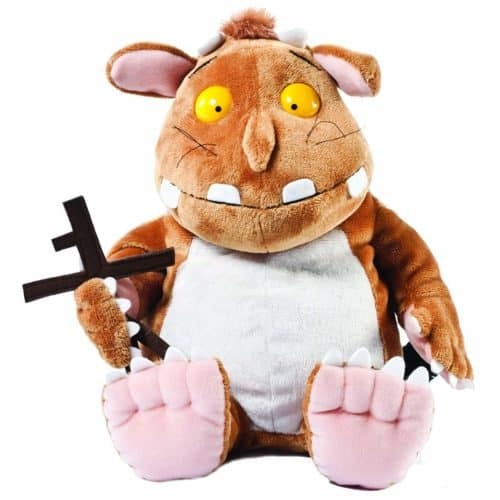 Complete with her own mini Stick Man, the Gruffalo’s Child is the perfect accompaniment to the popular story. Bring the story to life and take her on your travels. She’s super soft which makes her the perfect cuddle mate for little people. Meet the stick that’s loved by girls and boys alike – will Stick Man ever get home to his family tree? Introduce your very own Stick Man to your family, with this brilliant gift set. 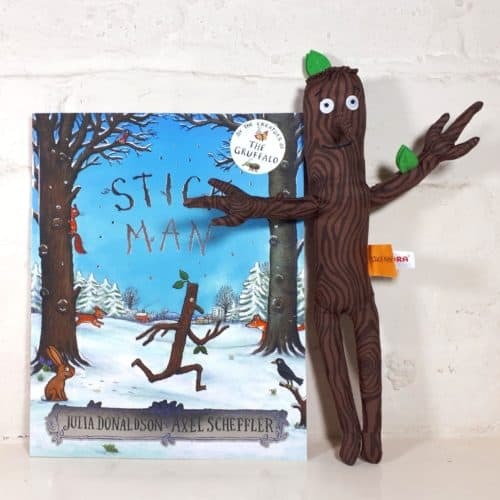 Each set includes the 13” Stick Man toy and original story book (in either board book or paperback format). This set is wrapped in tissue and presented in a cardboard gift box. Add our postage and gift note bundle at the checkout to add your own personal message and we’ll send it direct to the lucky recipient on your behalf.